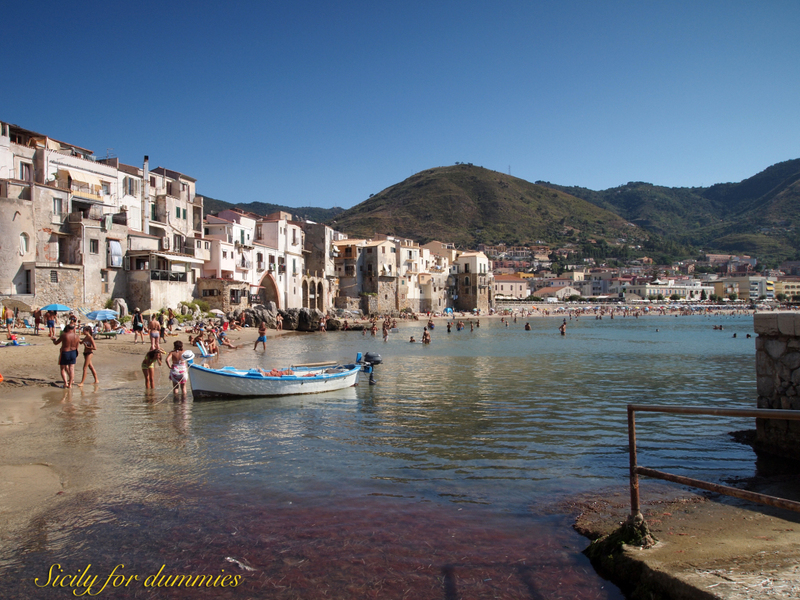 Cefalù is a must for those who love beach holidays. The beach of Cefalu, with its fine sandy beach and its clear water, attracts thousands of tourists throughout the summer. 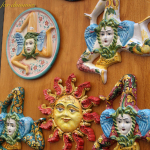 This town is located in the province of Palermo, on the northern coast of Sicily, facing the Tyrrhenian Sea, 70 km East of Palermo and 160 Km West of Messina. 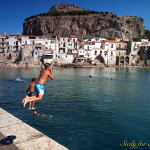 But Cefalu is not only beach and sea. It is a town with a long history which grows between the sea and the spectacular limestone rock from the typical shape of the head, on a plant made up of narrow and disorderly streets revealing the medieval character, not hiding the overlay of styles which took place over thousands of years, from its foundation dating back to the fifth century BC to the present day. 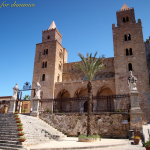 Among the most important monuments is the Cathedral built by Ruggiero II in 1148. 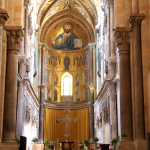 Even the latter represents the synthesis of different cultures that co-existed on the Island at the time of construction, as it was influenced by the Byzantine culture which still resisted in Sicily, but built by Islamic architects and craftsmen, spurred by indications from the Norman king who wanted a church fortress that was also a funerary monument. In addition to the Cathedral and the beautiful cloister, we can not help but visit the Great Osterio which originally was the Home of Ruggiero II and then of the Ventimiglia family. Today, fully restored, it is a cultural center which hosts exhibitions and conferences. Always in the historical center is the ancient medieval washtub, on the mouth of the underground river Cefalino, which is accessed by a lava stone staircase that leads below the houses, and the Mandralisca Museum founded by the namesake Baron in the Nineteenth Century that preserves important paintings and collections of coins and shells. 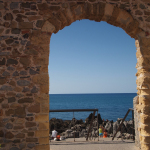 The Rock of Cefalù hosts the remains of a medieval castle surrounded by crenellated walls which is accessed along a path that climbs the cliff. 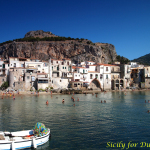 Within the perimeter of the walls as well as the castle is one of the most visited buildings in Cefalu, the temple of Diana, imposing megalithic construction probably intended as a place of worship dating back to the ninth century BC. 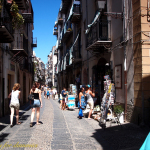 The days in Cefalu pass quiet between the beautiful beach and the walks in the old town or a ride to the pier of the old marina where you can enjoy a unique view of the town, with the fishermen ‘s warehouses in the background of the historic center in which stand the Cathedral and the cliff that overlooks it all. 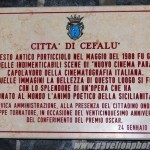 On the pier we will find a commemorative plaque reminding us that there was shot of the most beautiful scenes from the masterpiece Tornatore’s Cinema Paradiso.